Most April Fools' Day jokes fall flat. More than most, actually. Around 99 percent of these jokes are either not funny or go terribly awry. That pesky one percent that work -- last year's CornHub site or the Will Arnett Netflix farce -- keep lesser jokesters trying. 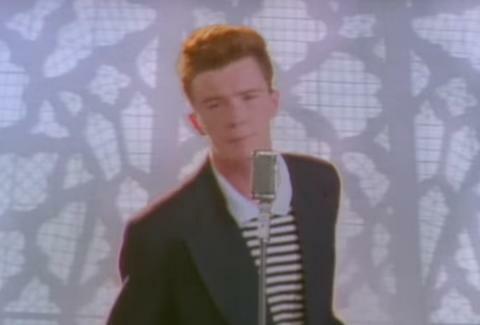 One Reddit user (rick)rolled the dice on a seemingly harmless office prank. @Bcox2294 shared the story on the subreddit "Today I Fudged Up," where they wrote, "Most April fool's day I don't do anything, but last night I was the last one in the office and decided to prank a few of my less techy coworkers." It's an ominous start that already has you thinking about siding with the victims. The Redditor started messing with the office computers. "The first thing I did was turn off auto sleep, then I pulled up a fake update website and full screened it so unless they pressed F11 they couldn't exit the browser," @Bcox2294 writes. "The last thing I decided to do was play Rick Astley's 'Never Going to Give You Up' in a new tab at low volume so it would just mildly disturb them. Now that the prank was set up I turned the video on loop and full screened the fake update, and then I went home." Well, it's a mostly harmless prank. Just a little good-natured ribbing. However, the end result did not match the intentions. "When I came in the next day I was excited to see how they would react but when I got to the office I didn't hear any Rick Astley, but I did see a few irritated coworkers." That's not a good way for the prank to start. "Apparently on the old office computers it had overheated from running all night and now the computers won't turn on. Now I owe several hundred dollars in computer repairs and I am probably the least favorite in the office :("
There are a couple red flags in the story that aren't on the Redditor. You destroy a handful of office computers and it's just hundreds or dollars and not thousands? That might explain why the computers imploded after being left on all night. Still, that's probably enough to keep you off pranking for a while.